The 7 Steps Flat Pyramid PowerPoint Diagram is the chart of hierarchical structure to visualize the foundation base processes. 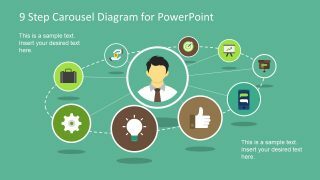 The PowerPoint diagram has 10 slides of cool flat vector designs and infographics. 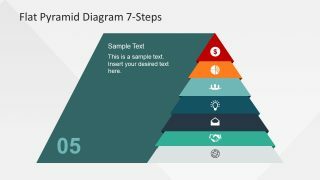 The pyramid chart itself is the triangle shape of 7 segments/layers to display ascending or descending order of dependencies. 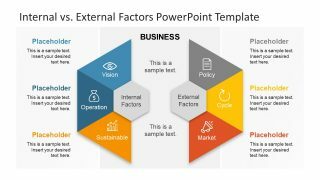 This PowerPoint diagram template is a creative placement of segments to present business ideas. For example, the hierarchical order of organizational structure or prioritizing components in a model etc. 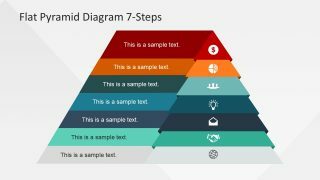 The most relevant example of pyramid diagram is the Maslow’s theory of needs i.e. theory of human motivation. 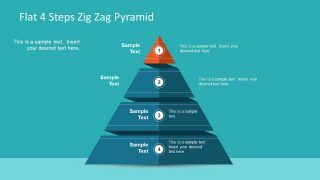 Here, the template displays a 3D effect of pyramid levels using the small PowerPoint shapes to create a shadow. 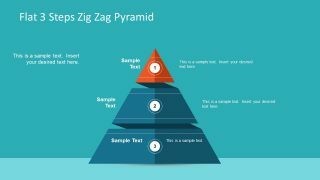 Therefore, the triangle shape appears as stack up segments to make a chart. The 7 Steps Flat Pyramid PowerPoint Diagram is ideal for presenting business and academic concepts. The SlideModel catalog has more versions of the flat pyramid design including four, five and six step flat pyramid diagram. The shape and width of level in chart indicate the priority of segment in the hierarchy. 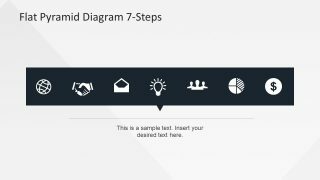 For example, the widest level shows the general or basic component of the chart. Whereas, the segments narrowing depicts the more specific terms of main topic. The 7 steps flat pyramid has two design versions of the template with different format for text placeholders. Further, there are slides to help audience focus on one level at a time. These slides highlight one level per slides with an amazing layout design for placeholders. The PowerPoint diagram template of flat vector 7 steps pyramid is a professional chart design. It is suitable for presenting the procedures and concepts in chronological order. 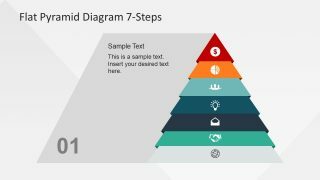 This 7-steps flat pyramid diagram template is also fully customizable PowerPoint. 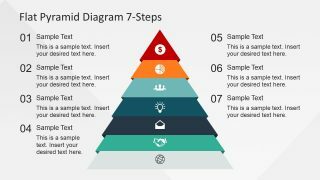 Therefore, users can modify levels, colors and also the infographics which represent each segment.